As with many visual novel series, the Science Adventure series has a somewhat spotty history of official English translations. The first time was with JAST USA’s translation of Steins;Gate in 2014. 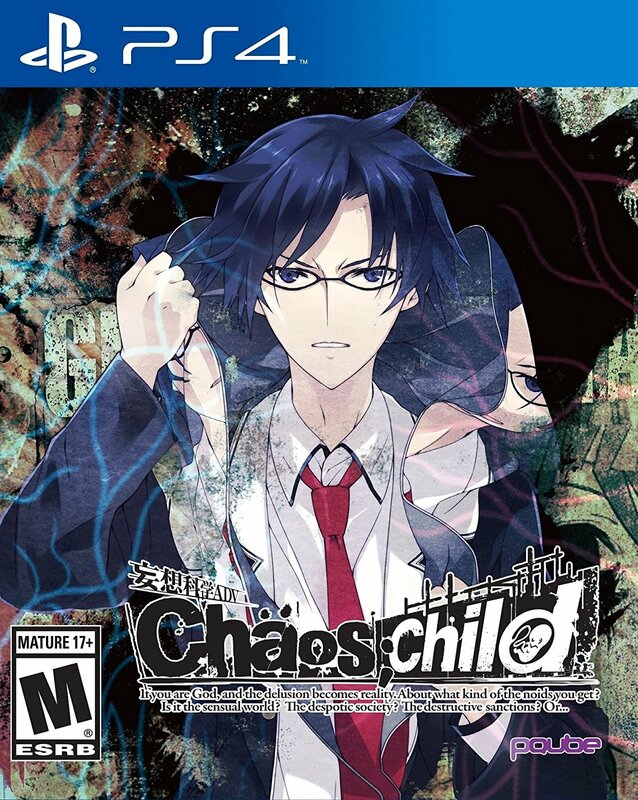 It was followed by Steins;Gate 0 last year, and now with Chaos;Child, both from PQube. 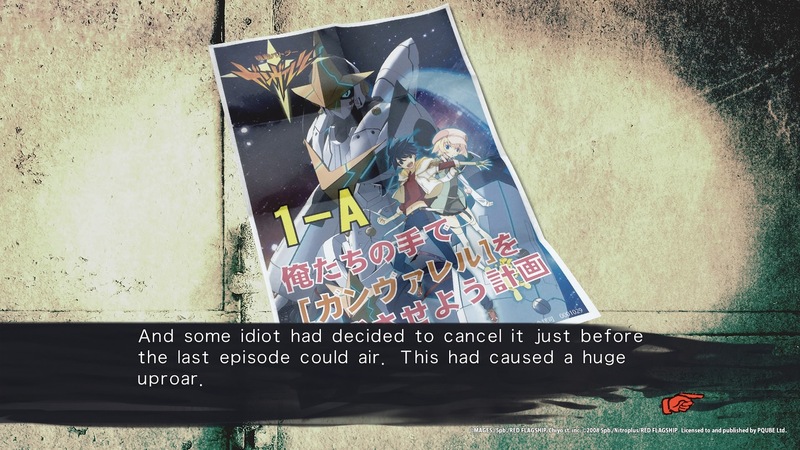 Unfortunately, the prequel Chaos;Head (along with the more recent Robotics;Notes) never got translated, but as I will cover later on, it’s not that important for the story. Chaos;Child is set in 2015 in Shibuya, six years after the New Generation Madness series of murders and Shibuya Earthquake from Chaos;Head. It follows Takuru Miyashiro, a third-year student at Shibuya’s Hekiho Academy and the president of its newspaper club. He’s joined by the other members of the club; his childhood friend Serika Onoe, his adoptive older sister Nono Kurusu, his best friend Shinji Itou, and the quiet Hana Kazuki. Later on, he’s joined by the literature club’s Hinae Arimura and the mysterious, childlike Uki Yamazoe. The group investigates a new series of bizarre murders, dubbed the Return of the New Generation Madness. As the story progresses, the player along with Miyashiro learns more about the killings, the Shibuya Earthquake, the strange Sumo Stickers appearing around town, and the other members of the club. It’s interesting to see how the game calls back to the others in the series. The story is structured into five primary routes with six different good endings, and a variety of bad endings depending on the route you play. The first time you play through it, only the main route is available, and individual routes for Hana, Hinae, Uki, and Nono become available after you see the main route’s Over Sky ending once. In all playthroughs after the first, the story is influenced by the player’s choices in the Delusion Trigger system. 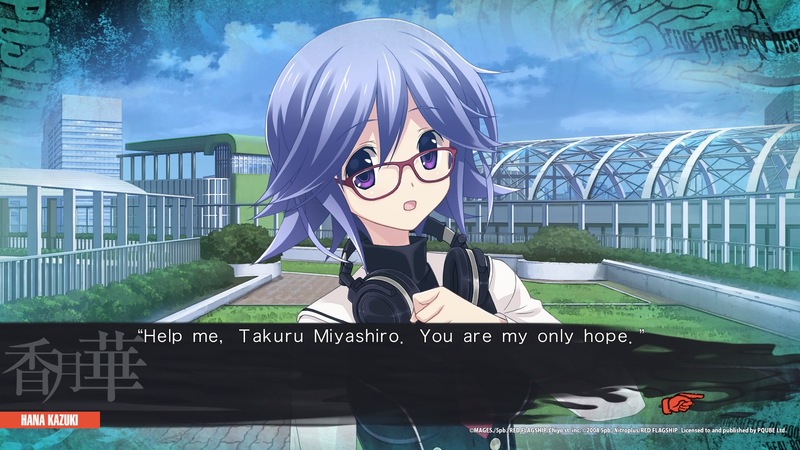 The Delusion Trigger returns from Chaos;Head, where the player can choose either a negative or positive delusion for Takuru to experience at specific points in the story. After seeing all the endings, the final true story becomes available, revealing the true nature of Chaos Child Syndrome. The individual routes all break off from the main story at different points and reveal a lot of information about each character, their past, and their motivations than you can get from the main story. I like the various ways the game presents conversations. The characters themselves are all interesting in their own way. They have their own mysteries and arcs throughout the main story and their individual routes, and it is incredibly interesting to see each develop and learn more about them. Takuru in particular changes significantly throughout the game. He gradually grows more likable as the story progresses, after starting out somewhat pretentious and downright annoying. Seeing how the characters evolve, especially in their specific routes, is incredibly satisfying, and the story is incredibly well-written and structured to back it up. 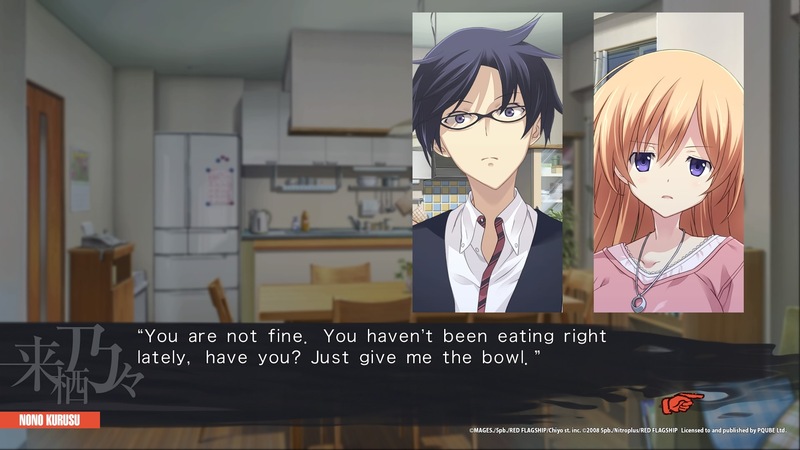 Chaos;Child leans more heavily on horror than previous games in the series. The murders themselves are genuinely disturbing and often gory, as are many of the negative delusions throughout the game. That being said, the story is very well-paced, with most of the chapters good about periodically easing up on the tension before getting more intense in the last four chapters and not letting up until the end, keeping it from ever getting too tiring to read. The game also shifts perspectives throughout, all to build up suspense, keep the reader invested, and drive the central mystery forward. It’s a device that Chaos;Child uses to great effect; it was never hard to follow, but still kept me on my toes and unsure about what direction it would take. The waving border on the screen shows that this is just a delusion.